South Africa’s multi-award winning DJ and producer, Mobi Dixon, has reached another highly significant milestone as his highly acclaimed multi-award winning Live The Music album has officially been certified GOLD. “It’s a great honour to reach this GOLD milestone. When we released Live The Music, the goal was to go GOLD and it’s really great to have achieved this. A lot of work was put into the album from production to marketing. "It’s a tough market currently for music and I couldn’t have reached this milestone without the love and support from the media, everyone who has bought or downloaded the album and everyone who worked on the album. To all of you I say thank you! My previous album went Platinum so it’s nice to know we are on the right track,” shares Mobi Dixon. The album has garnered massive fan appeal and critical acclaim since its release last year. Mobi Dixon's sound has also been lauded by many both locally and internationally for being distinct, intriguing and proudly African. The album represents Mobi Dixon’s variety of music making skills - his clipped house beats, generous baselines, propulsive percussion and breezily hypnotic chords form the perfect bedrock for an array of vocalists to exercise their song-craft. On Live The Music, there are collaborations with the likes of Tresor, Inga Hina, Black Motion, Nana Mbawuli, Pomakazi, Sakhile Moleshe, Bantu Soul and 2Bad as well as frequent collaborator and long-time friend, Berita contributing to the music. 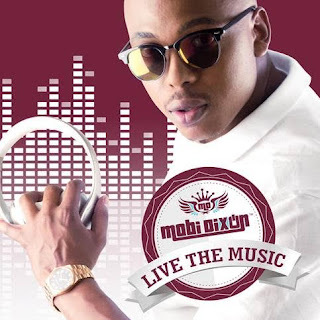 Mobi Dixon’s project won Best Dance Album at the Metro FM Music Awards this year and continues to be a favourite on the dancefloor. Mobi Dixon has been getting a lot of love from fans, and major radio stations, and his latest hit track Ezizweni featuring the African Jewel Berita is no different and is making some serious waves. Ezizweni was recently the second most played song in the country with a number #2 placement on the RAMS Top 100 chart. The Ezizweni music video is doing exceedingly well on VEVO and is fast approaching the 100 000 views mark.